AS-PLS-FULL Precision calibration load set with male and female N-type and male and female "UHF" (SO-239 and PL-259) connectors. 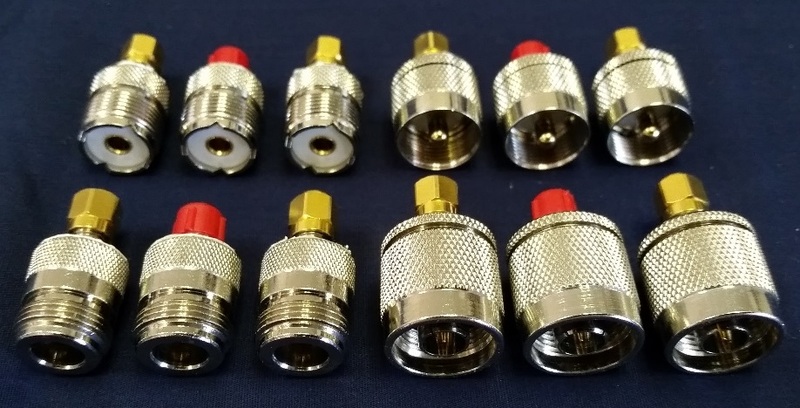 This full set of N-type and UHF loads has all options for N-type and "UHF" connectors (PL-259 and SO-239) to calibrate at the right plane of reference for our line of Antenna and Impedance Analyzers and Vector Network Analyzers; Power AIM 120, AIM4300, AIM UHF, VNA2180 and VNA UHF. One set with PL-259 ("UHF" male) connectors (AS-PLS-UM). 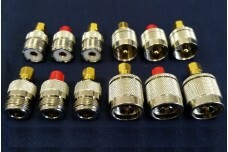 One set with SO-239 ("UHF" female) connectors(AS-PLS-UF). One set with N-type male connectors (AS-PLS-NM). One set with N-type female connectors (AS-PLS-NF). These loads sets are rated for up to 1.2 GHz. If you need other options of calibration loads sets, call us!